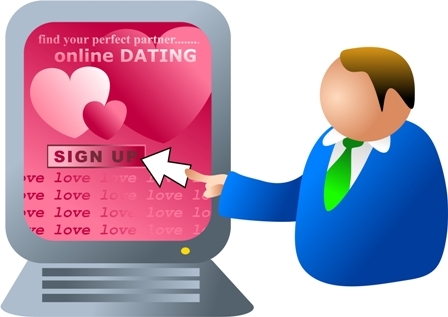 World Tourism: Dating Sites & Personal Ads - Who's looking at you? Who's looking at you? If you’ve ever used an online dating site you won’t always know the answer to that. Have you ever been suspicious of the faceless profile constantly viewing your personal ad? Have you refused to display your own photos for that very reason? Have you been ignored or rejected by most of the people you contact? And, even if you have a photo, do you receive messages from faceless people and choose to ignore them, possibly missing out on your dream date but afraid to take that chance? Well, I’ve been there! Do you want to know what I did? More of that later, but wouldn’t it be great if EVERY personal ad displayed a photograph of its creator? So why don’t we? Why can’t I put a face to everyone who’s been looking at my profile? Why can’t I find a site which makes me display a photo of my own face? OK, if I was forced to upload a photograph I could upload one of someone else, but what good will that do me if I ever hope to meet someone? It’s generally accepted that many people don’t wish to upload their photo at all; often due to the fear of who might see it. There are many other reasons, too, and I understand -- because, for a while, I was one of them. A faceless profile, that is; not a reason! Teachers, for example, may not wish to have students viewing their details and therefore choose to omit photographs from their personal ads. However, this severely limits their potential for meeting other singles with whom they would like to communicate. The vast majority of online dating site members I have spoken to have said they prefer to see a picture of the person with whom they wish to communicate. Or they simply don’t communicate. (Yes, I was rejected and ignored by many!) Most dating sites I’ve visited have told me personal ads with photos attract 5 to 10 times more people than those without. So why don’t we all add a photograph to our ad? Does physical attraction really count? It would appear so. After all, if I want someone to kiss me, physical attraction does count. I know this: I’ve been told! “Who wants to kiss a face resembling that of a bulldog sucking a wasp?” I was once asked. Is their a point to opening communications with me, spending days or weeks dealing with messages before deciding to meet, only to find you can’t bring yourself to kiss a face like that? In my experience it would appear not. But I suspect there’s a little more to it than the issue of physical attraction. Just for the record, let me indulge in a spot of vanity and say I’m not considered to be unattractive. So, for the moment, let’s assume our reluctance to communicate with a faceless profile has nothing to do with physical attraction at all, but rather that a photo may be the only way we can gain some sort of safety factor or comfort zone in revealing ourselves to others on the net. For instance, how do we know we’re communicating with someone who may not only be hiding their good looks but who may also be hiding the real person behind the profile? A photo may not be proof of identity, but in the world of internet dating it appears to be the best we have. It would appear to provide a greater comfort zone. But remember, I may be the teacher who doesn’t want my details made available to my students, or a doctor not wishing to be seen by my patients. No matter what my reason for choosing to not reveal my face, the point is this: How do I get the best of both worlds? How do I remain hidden but still attract the people I would like to meet? Could I find a site like that? I found a way to deal with those problems I mentioned earlier. I can now display my photo without being suspicious of a faceless profile constantly viewing my details. I no longer receive messages from faceless people, so, hopefully I won’t miss out on that dream date because I was afraid to reply to an unknown entity. And if I send out a message I now find I usually get a response. “You lied…”, I hear you say, “…you did find your ideal site.” Actually, no, I didn’t. I created it instead -- just for people like you and I. Well, it seemed the obvious thing to do. But that’s not why I’m telling you all of this. You may not want to create your own website to cater for your ideals, but, if you want to make the most of your online dating experience, no matter which site you use, put a photograph in your personal ad and let others know who’s been viewing them. Your response rate will probably double. Mine did - and more! You might find others follow your lead. And when they do, then, at least, you’ll know who’s been looking at you.